New wonderful indie-pop alert! 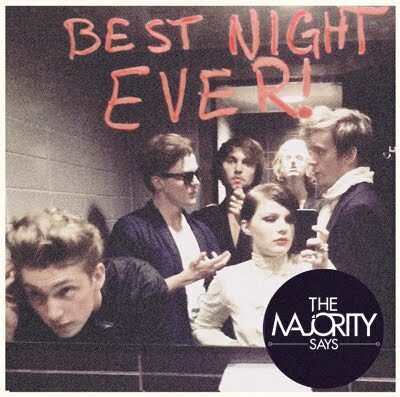 Linköping's band The Majority Says was built pretty long ago - since 2005 they've managed to change the name, vocalist and to release 4 EPs - the latest one "Best Night Ever" has recently been released and has included four of band's latest tracks - "Trouble", "Dance To The Beat", "Kings Of The Night" and "114". Soft melodic indie pop with Hanna Antonson's sweetest soft vocal wins Scandinavia over, you can find new single "114" in Danish and Norwegian iTunes-charts (apart from Swedish one). I recommend you to check all of these songs though, it's a really special discovery in the area you probably thought you know everything about.